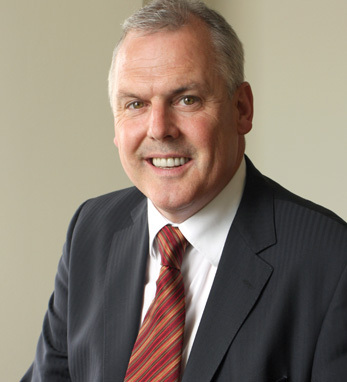 Michael Grealy is CEO for Alternative Investments and International Distribution in the Capital Markets Division of the Bank of Ireland Group. As CEO, Grealy oversees the Group’s interests in international and alternative investments, including being the Chairman of both Iridian Asset Management and Guggenheim Advisors, and board member of Paul Capital Investment. He is also responsible for the distribution of investment products through the group’s international sales and client service platform in the U.S., Canada, Australia, the UK, and Europe. Prior to joining the Bank of Ireland Group, he worked with Boston Scientific, Baxter Healthcare, Digital Equipment Corp. and Seagate Technology. He is the President and Director of the Board of the New Ireland Fund in New York. Grealy is a co-founder and director of Coláiste Lurgan, an educational institution in the Connemara Gaeltacht dedicated to the promotion of Irish language and culture. Grealy received a B. Ed. from University College, Dublin and a M.Sc. Management from Trinity College, Dublin; he is also a Fellow of the Institute of Bankers.